Any audit that involves either billings from or billings to third parties falls into the category of contract auditing. Audits of contracted activity help ensure the success of business transactions, as many organizations harbor significant contract administration problems, resulting in potential monetary loss and unmitigated risk. Any audit that involves either billings from or billings to third parties falls into the category of contract auditing. Audits of contracted activity help ensure the success of business transactions, as many organizations harbor significant contract administration problems, resulting in potential monetary loss and unmitigated risk. Questions such as, “Were all contract obligations fulfilled? Were billings prepared accurately and in accordance with the terms of the contract? Were those involved in managing the contract activity honest?” are pertinent to every contract and expand with the complexity of the transactions. Regardless of industry, effective contract auditing can deliver valuable contributions to the organization&apos;s bottom line. Reported return on investment for the direct cost of auditing contracts typically ranges from three-to-one to as much as 20-to-one. Some audit departments consistently generate cost recoveries from contract audits that exceed the entire department&apos;s budget for the year. Although auditors shouldn&apos;t expect monumental results with every audit, over time, most companies that devote resources to auditing specific contract activities report that the activity pays for itself several times over. Plus, contract auditing can yield benefits far beyond immediate financial impact issues. Potential threats posed by poorly written contracts, or resulting from failure to comply with contracts, can range from reputational damage to costly health and safety issues. Contract audits, therefore, can serve as an important tool for preventing problems. None of these benefits can be realized, however, without a sound approach to the contract audit process. To achieve maximum benefit and ensure that contract audits yield value-added results, auditors need to develop an effective contract audit strategy before the audit begins. 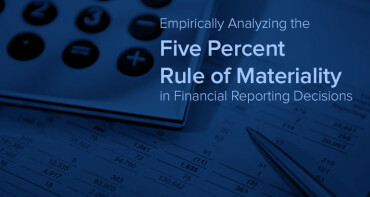 Devoting sufficient time to preplanning – including advanced consideration of resource requirements, management expectations, and timing of audit work within the contract lifecycle – will help ensure that contract audits function as an effective form of risk management and an opportunity to address control weaknesses, as well as a means of obtaining bottom-line improvements. Before engaging in a contract audit, the audit team should determine whether it has sufficient staff expertise to conduct its review effectively. Especially in audit shops with limited resources, staff auditors may not possess the experience or skills needed to audit the specifics of technically difficult or highly specialized contracts. Regardless of experience, however, detail-oriented auditors will often find meaningful issues to report as a result of their contract reviews, even if the area subject to audit is unfamiliar to them. Basic problems such as duplicate payments, duplicate charges, labor- rate and fee overcharges, for example, are commonly reported contract audit findings. An audit team possessing a higher degree of familiarity with the targeted contract activity will generally have the ability to perform more robust reviews that examine industry- specific or technically complex issues. Contract audit needs vary. Organizations with ongoing contract audit requirements may need to acquire or develop in-house contract audit expertise. In some settings, nonrecurring contracts may require specialized expertise from outside consultants who possess industry-specific contract audit experience. Projects that might call for such assistance include contracts involving significant expenditures for the development and implementation of a new software system, the construction of a new building, or an activity involving extensive legal services. In-house, nonspecialized staff will often suffice, however, when contracted services are limited in scope and do not involve complex work agreements. Whenever possible, auditors should try to begin their contract work before the document has been signed. A successful strategy should include efforts to convince members of management that involving the audit team early in the contracting process is to their advantage. A proactive, pre-contract audit can help the organization avoid making major mistakes during contract formulation or negotiation. Rather than make audit observations and related recommendations after the contract has been negotiated with the contractor, timely pre-contract auditing enables auditors to provide critical input before any damage is done. Pre-contract audit work is most effective when performed during the contract-development process. For example, internal auditors can work with the contract-development team to ensure the document does not leave significant loopholes for contractors to take unfair advantage of the organization. Working with management to develop best-practice contract clauses and concepts before contractor proposals are solicited will generally lead to valueadded results. The value of pre-contract work is, unfortunately, often realized only after a costly mistake has been made. At a large U.S. manufacturing company, for example, managers negotiated a contract for project-management services without a pre-contract audit, resulting in a multimillion-dollar oversight. After management entered into the lump-sum contract for an agreed-upon set of project management tasks, the consultants performed their work in less than 6,000 hours over a two-year period, resulting in an effective billing rate of $500 per hour. During a post-award interim audit, the company&apos;s internal auditors determined that typical hourly rates for similar quality project management services are a maximum of $175 per hour. If a precontract audit had been performed, the auditors could have shared their analysis with management and suggested negotiating a more realistic lump-sum contract amount or a different method of compensation, saving the company approximately $2 million. Beyond looking for specific risks to monetary or other assets, auditors should also ensure all pre-contract audits include a review for right-of-audit clauses that allow auditors access to all pertinent documents. This proactive step will help establish the right conditions for postcompletion contract audits, should the audit team need to become involved during this latter phase of the contract process. 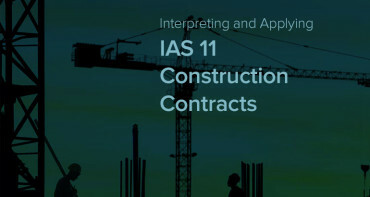 The clause should grant access to any contractor records that may have a bearing on whether or not contracted services were performed or whether the contractor billed the organization in accordance with the terms of the agreement. Full right-of-audit clauses should even be included in lump-sum contracts – also referred to as fixed-price or stipulated– sum contracts – for the purpose of independently verifying whether or not the contractor fulfilled all of the contract requirements. Although the main motivation for contract auditing is often cost recovery and revenue enhancement, the greatest benefit frequently comes in the form of process improvement. In many contracts, the exposures related to performance problems far outweigh those related to overcharge. Auditors can address performance-related issues during their reviews by bringing management&apos;s attention to control weaknesses. In the long run, stronger controls will mitigate the risk of future contract overcharges. Despite the benefits of correcting perform ance-related problems, management may fail to implement effective controls unless they see overcharges. That is, some managers might not fully appreciate the significance of a control problem unless they have seen the actual bottom-line results of it. Without this evidence, management may only implement token changes to satisfy contract– related control recommendations rather than making a genuine effort to fix the problem. To obtain effective, long-term results, auditors may need to first gain management&apos;s attention by identifying the bottom-line impact. After realizing the monetary consequences of ineffective controls, members of management are often more inclined to work with internal auditing to improve control processes. Auditors should consider this type of strategy before initiating their contract– review work. Many audit departments enjoy significant value-added results from their contract audit efforts. However, those results may evaporate unless auditors dedicate appropriate resources to performing effective contract audit work and consider factors such as pre- contract work and management expectations. 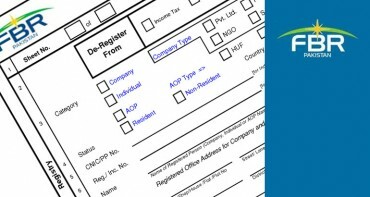 Internal auditors bring a unique perspective to contracts, and their input on contracted activity can prove invaluable to the organization. Auditing can provide a much-needed objective viewpoint, in contrast to potentially clouded judgment that might prevail while business parties are either closing a deal or in the process of fulfilling its requirements. Costs to the organization due to poor contracts can be overwhelming, but with the help of auditing, potential problems can be prevented or corrected quickly. Internal audit departments that do not currently perform audits of contract activity and related contractor records may want to consider including such audit activity in future audit plans. If contract auditing is not viewed as part of the internal audit responsibility, auditors \may want to work with management to ensure that it establishes an effective contract audit function to address the organization&apos;s most significant contract audit needs adequately.